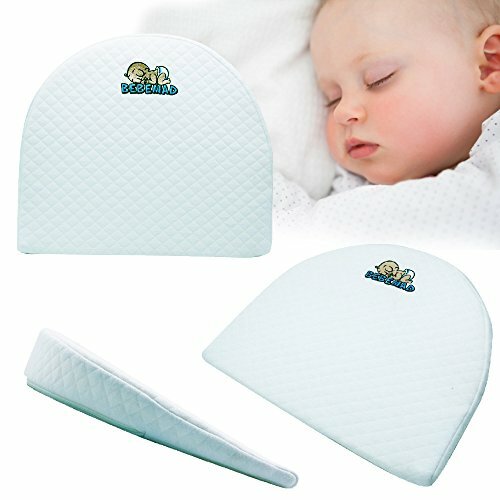 Perfect Sleeper Crib Wedge helps safely elevate baby's head and torso for easier breathing and better digestion. 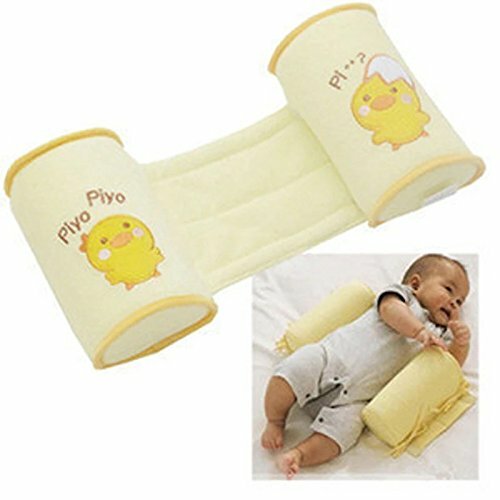 Product Specificatons: Material:100% pure premium quality memory foam. Material of Cover: Organic Cotton cover. 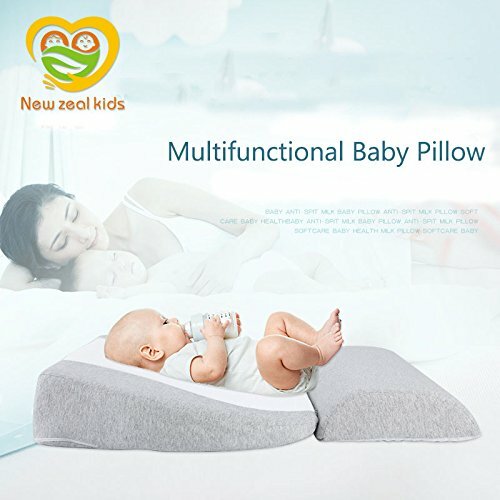 Weight:1.5pounds for the set Size: 13.7'' x 19.6'' x 2.8'' BEST PILLOW TO IMPROVE YOUR BABY SLEEP 12 degree incline angle is recommended by pediatricians for newborns,help to elevate your baby head and torso,reduces acid reflux and spitt-up,the raised place make them sleep soundly. 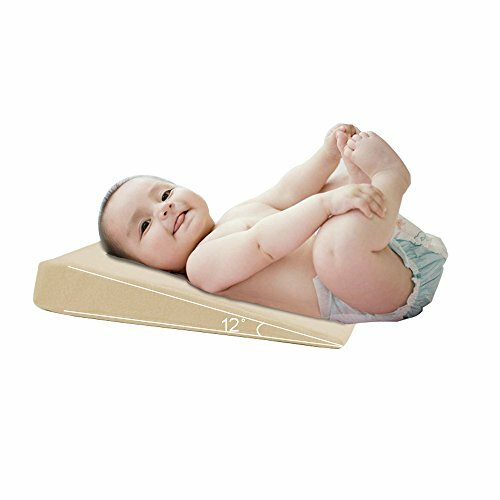 Our incline crib wedge can be placed under the bedding mattress which raises the angle of your baby's head to allow baby to rest in an optimal place. 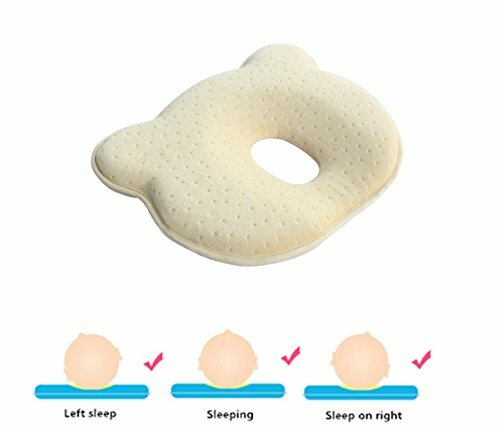 Never again will you have to worry about the danger of your baby getting choked while asleep due to wrong way. 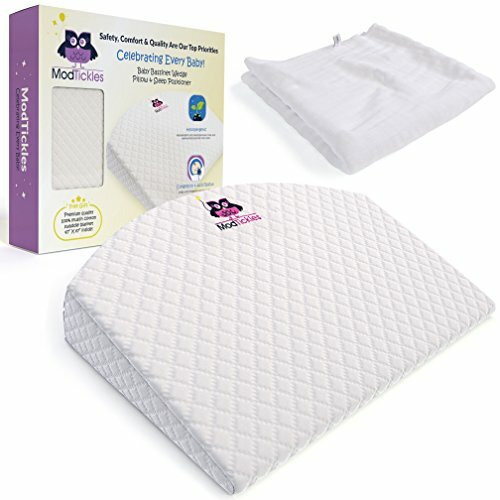 Fits most of cribs and toddler beds, and can be used boppy lounger, floor mat, co-sleeper. 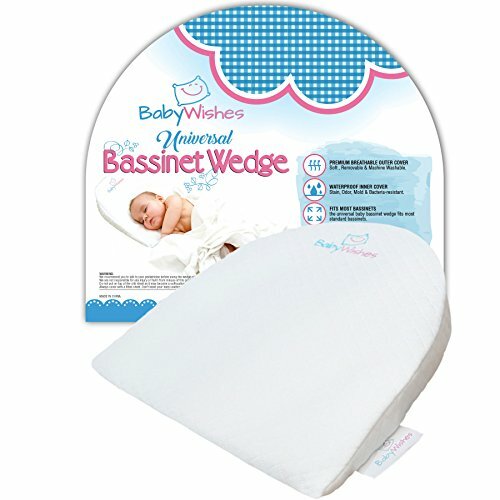 Please see the size before you order the baby crib wedge pillow. 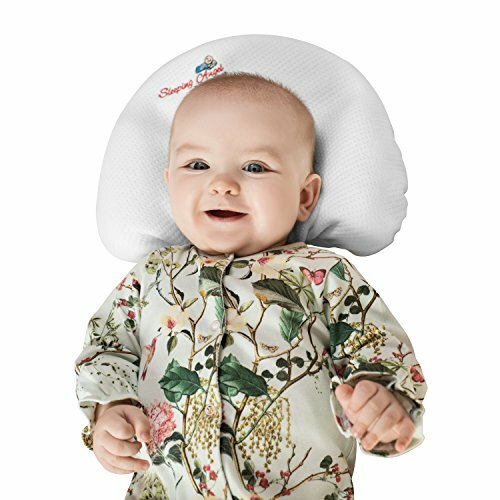 Care Instructions Inner cover -Wipe clean with soapy warm water Removable outer cotton cover - Machine wash gentle cycle in cold water and air dry (to prevent shrinking) Our Policy and Services: 1.Contact us if you have any questions and we will respond you within 24 hours. 2.We will try our best to make you satisfied with our product and service. 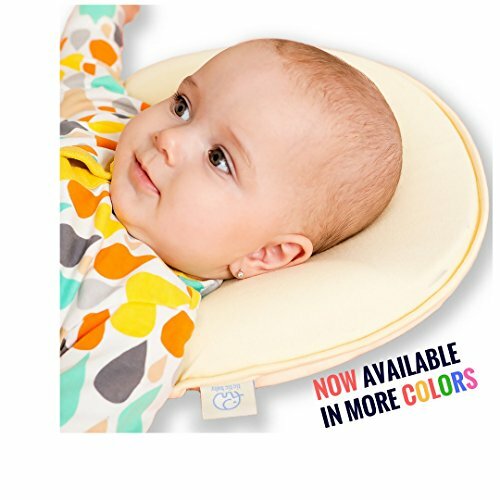 Copyright © Wholesalion.com 2019 - The Best Prices On Foam Infant Sleep Positioner Online.